When it comes to small business, many owners and entreprneurs consider the performance of their business based on the bank account balance, overlooking the bigger picture. In a small business, the difference between being in the black and slipping into the red can often be more about what you keep than what you make. Knowing your "books" is an important step to cutting unneeded and small costs, so you can keep more money in your pocket. Working with professional bookkeepers and accountants is a great way to gain clarity and understanding, and save money - particularly when it comes to tax seaason. 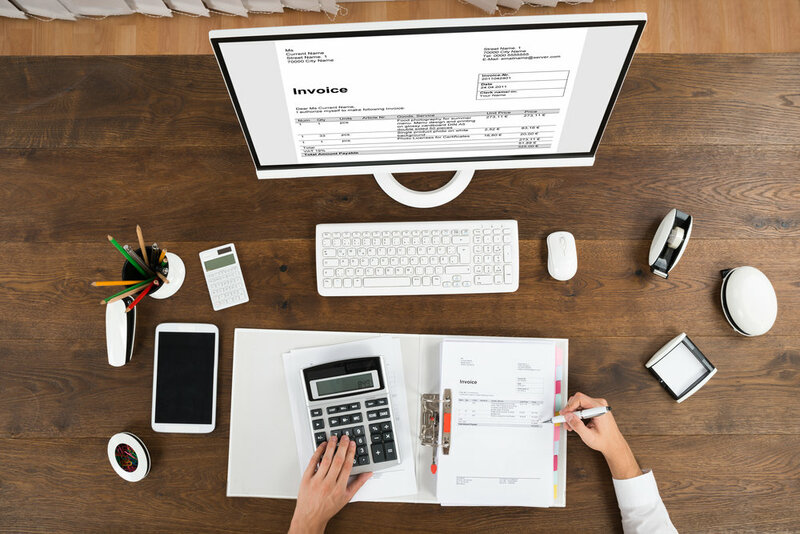 We have a great team of accounting professionals who will, affordably, help you understand your income and expenses, help you implement solid tracking systems, and assist you in keeping your tax liability as small as possible. Reconciliation of general ledger accounts and bank statements on a monthly basis. A quarterly review of profit and loss, estimated tax liability, fixed asset list, and itemized detail list. As you've heard us say, what you keep can be just as important as the revenue you bring in, and taxes play a big role in that. Working in an experience accountant can help you limit your tax liability and plan into the future to mitigate a high income year or take advantage of the lower income/higher expense times. With the recent tax reform, it is critical that small business owners talk to a professional and understand the advantages, disadvantages, and changes that impact you! A dedicated account manager who will work with you directly to guarantee your business receives the exact service it needs. Convenient access to your payroll records with a 24/7 secure online portal. No surprises with a three year guaranteed price lock. Solutions designed for any size business, from experienced HR experts who assist with staff management, Labor law compliance, and HR data. Receive unparalleled support regarding HR policy development, hirings and terminations, unemployment claims and much more. An online HR Support Center features valuable time saving tools such as HR checklists, templates, a document library, and a customizable company handbook.